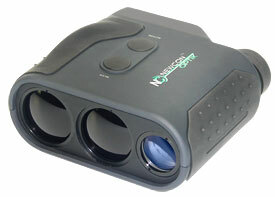 Medium range laser rangefinder monocular family comprises four models: three of them use unified ergonomic lightweight black body with rubberized grip. The models, identical in optics, deliver their outstanding features via advanced data processing algorithms implemented in electronics. All models measure distance to terrain features and still objects as well as speed of moving vehicles. Results can be displayed either in kilometers or in miles. algorithm (LRM 2500 / 2500CI only) dramatically improves reliability of measurement in unfavourable ranging conditions (rain, snow, bushes, wires, etc.) With a built-in high-quality digital compass and inclinometer LRM 2500CI instantly measures height, azimuth, and elevation.